← Goodbye Manhattan, Hello Brooklyn! Seen displayed in a pet shop on Driggs Avenue in Williamsburg. 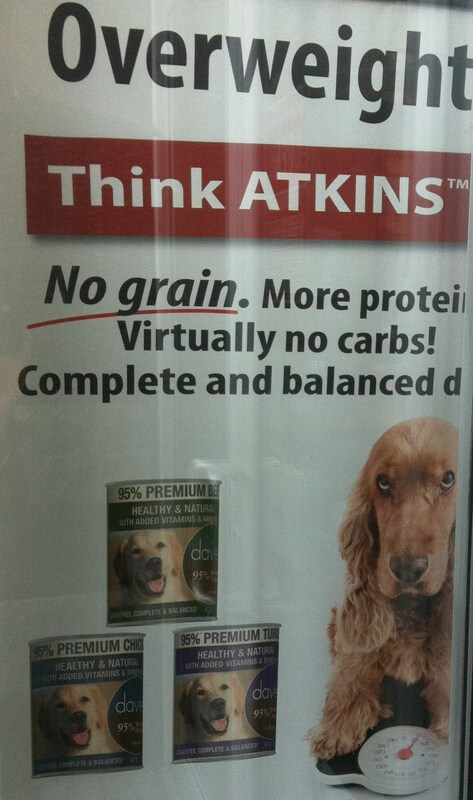 No more porky pooches with the Atkins diet for canines! Diet food for dogs for crying out loud! This entry was posted in Random New York and tagged atkins, brit, brooklyn, dapper, diet, dogs, fat, FFS, food, new york, pets, williamsburg. Bookmark the permalink.